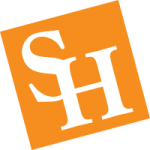 The Top 11 Surefire Resume Writing Strategies That Get RESULTS! Join me on Jena Rodriguez’ s “The Brave Entrepreneur” as I share my story. 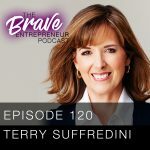 It was a great conversation with Jena as we discussed the importance of getting your brave on in your business and career. 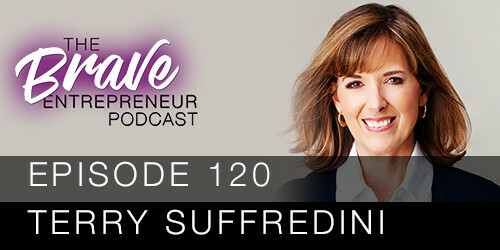 I shared my own journey and the secrets I’ve used to build and grow a thriving career and business. Find out how at an older age, I was able to start all over, re-invent myself, and find fulfillment. Discover why it’s never too late to go out and find the right fit for you. I guarantee there are plenty of big ah-ha moments on the podcast that will inspire you to kick up your own game and get your brave on! Be sure to email me what you think or post a comment on my Facebook page. 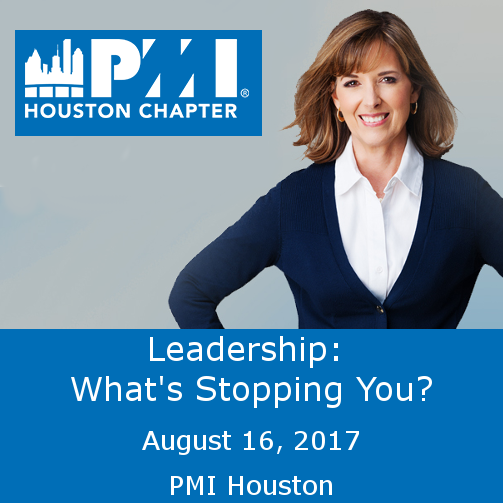 Join me on August 16 for my talk at PMI Houston: Leadership: What’s Stopping You? Many people today aren’t moving ahead in their careers as fast as they would like to. They would like to move into more senior positions but often feel like their advancement is being blocked in one way or another. In this talk, I explore some of the things that could be getting in the way and then offers actionable steps designed to overcome any such obstacles. 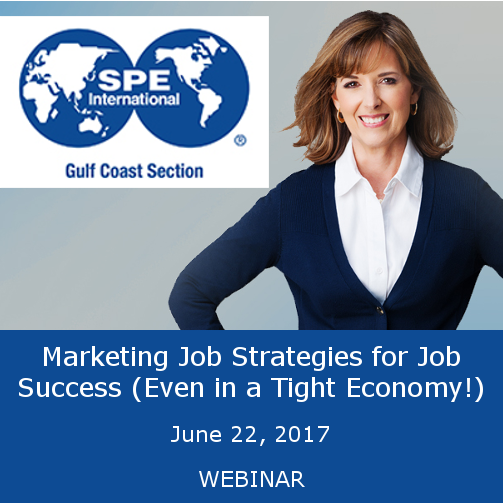 Join me on June 22 for my webinar “Marketing Job Strategies for Job Success (Even in a Tight Economy! 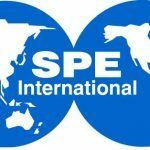 )” with the Society for Petroleum Engineers. 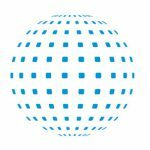 Learn how to use marketing techniques to increase your visibility and stand out from the crowd so you can get noticed and hired. 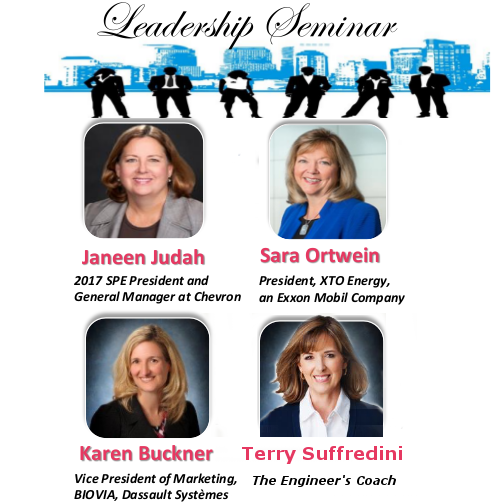 Join me on May 5 at the Woodlands Country Club for a Leadership Seminar. Myself and 7 other distinguished speakers will be presenting on operational efficiency practices and leadership in the oil and gas industry. It will be a great evening of interactive discussions and networking. Topic: LinkedIn and how to use it for networking and job search (speaking for Microsoft as part of their National Small Business Week activities). Topic: Engineering as a profession. 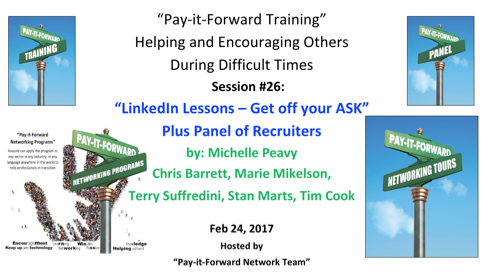 Pay It Forward Network Team 26th Training Event – Panel of 5 Recruiters. 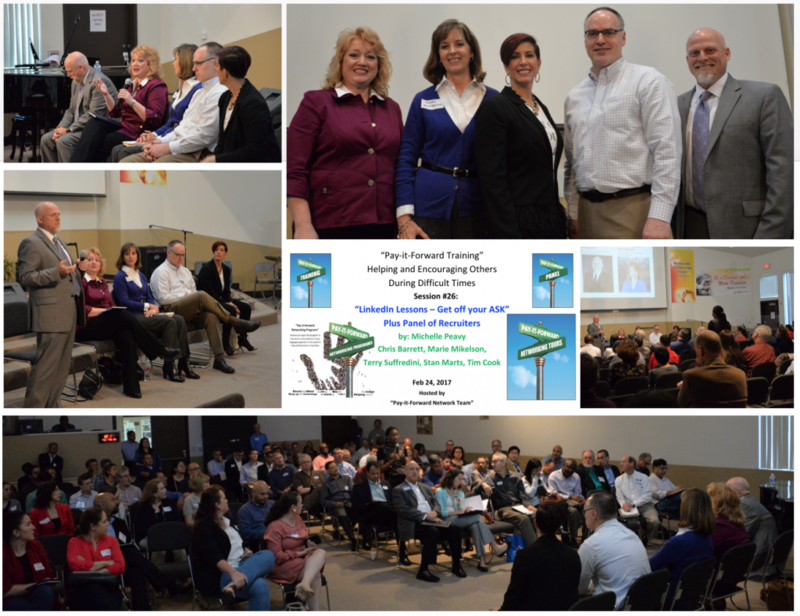 Panel discussion on why it’s important to build strategic relationships with select recruiters. 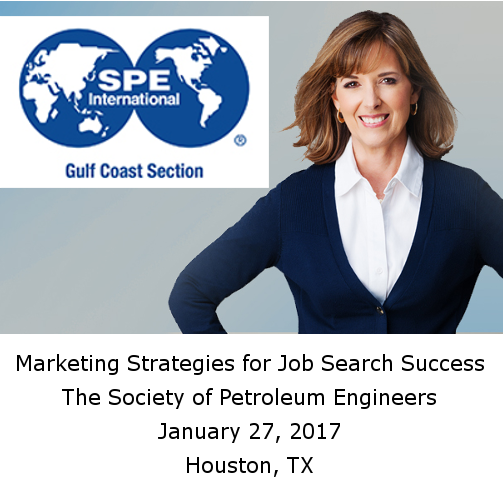 Speaker at Society of Petroleum Engineers International in Houston, TX on January 27, 2017 for “Marketing Strategies for Job Search Success”. 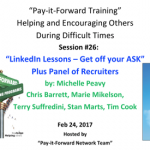 Terry on eWomenNetwork Radio Network and Blog Talk Radio with Phyllis Smith for “How to Stand Out and Find the Perfect Job or Career”. Listen here. 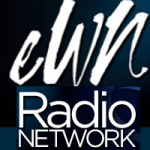 Contributor to eWomenNetwork for article “Setting Goals: Be the Captain of Your Life”. Read it here. Keep the faith. The most amazing things in life tend to happen right at the moment you’re about to give up hope. A little bit of reckless abandon is a good thing. You can fail at what you DON’T want [to be doing], so you might as well take a chance on doing what you love. The glory of God is man fully alive. Don’t be afraid to take a big step…You can’t cross a chasm in two small jumps. The best work is not what is most difficult for you…It is what you do best. Keep your thoughts positive, because your thoughts become your words. Keep your words positive, because your words become your behavior. Keep your behavior positive, because your behavior becomes your habits. Keep your habits positive, because your habits become your values. Keep your values positive, because your values become your destiny.